Brazil finally made a decision Sunday on an issue that has been in the news for months — it decided to move one step closer toward the impeachment of President Dilma Rousseff. Obviously, this is chaotic for a country that has been dealing with the downfall of the Petrobras scandal for an incredibly long time, and impeachment always causes more disorder, but it still leads me to wonder — is this impeachment a true act of democracy? Brazilian President Dilma Rousseff is constantly under fire and almost got impeached over the weekend. PHOTO VIA WIKIMEDIA COMMONS. Brazilian citizens have been protesting against Rousseff in a way that has overshadowed the FIFA World Cup and even the upcoming Olympics this summer. Politically, steps towards impeachment were at the hands of Brazilian lawmakers, but how much of it was influenced by the grueling months of protests against the incumbent? Understandably, impeachment is always associated with negativity and turbulence. Impeachment demonstrates incompetence by the president, be it in any country. Impeachment, however, might actually be an incredibly twisted demonstration of free speech, because the most simplistic definition of this act is that a leader is being questioned and punished for performing acts against what his or her job describes. This makes a president less dogmatic and provides power to its citizens. Free will is ultimately what democracy is supposed to be about. Yet, like the rest of the world, I fear any results regarding the impeachment of Rousseff. I am scared about what will happen to arguably one of the largest economies in South America as well as the world. 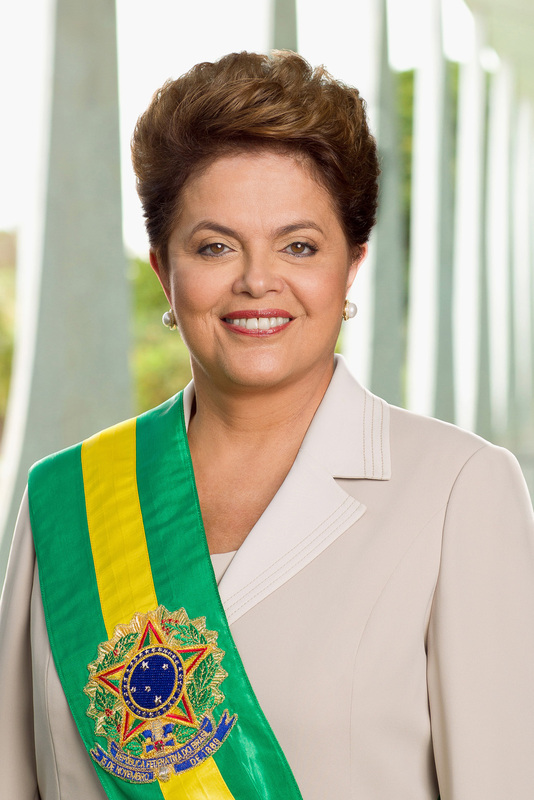 I wonder if her removal from power, if successful, will actually decrease the corruption in Brazil. The Petrobras scandal that has put Rousseff in this position is much more deep-rooted in the political sphere than her impeachment makes it seem. Democracy should be “by the People and for the People,” but when this might actually happen, why is this event dreaded? It might be because ultimately, democracy is politics. Yes, people matter and voting matters, as it allows citizens some say. Citizens, however, cannot rule a country, and once the idealism wears off, everybody realizes that. Opinions on Rousseff are crucial for the well-being of the country. She is involved in a scandal that has put her not only in an awkward position, but a tragic one. Sadly, her impeachment will not spark a revolution nor will it solve corruption. Her impeachment might provide some short-lived happiness to some, but nobody can predict if it will be the new start Brazilian politics needs. Questions to these answers vary largely on political affiliations and familiarity with the policy and events of this president. I am not claiming to be an expert on either of these things when it comes to Brazil — or any country, for that matter — but the inquisitive college student in me cannot help but wonder. My questions might be naïve or they might be the questions in everyone’s mind who are outsiders to what is currently happening in that country, but hopefully my questions have answers. Democracy is turning out to be a lot more complicated than its simple definition.